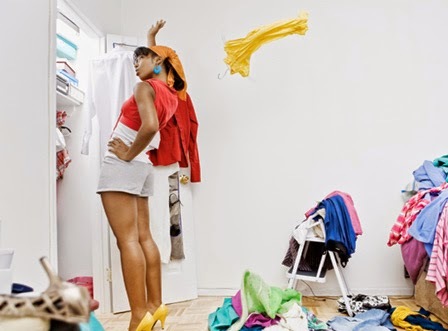 3 Items to Purge From Your Closet NOW!!!! 1. The Out-of-Date- Holding onto your favorite jacket from Highschool? College Sweatshirts? Horribly out of season clothing with hope that they'll com back in style? Maybe it's time to face the facts. Some trends will never again see the light of day. Don't be afraid to do away with the velour suits, and awful graphic tees from 2003. It's been a decade already. 2. The "I'll fit into it"- I'm guilty of this as well. Purchasing items, ill-fitting or too small, thinking " I can't possibly pass this up, I'll just lost lbs and it will be perfect." 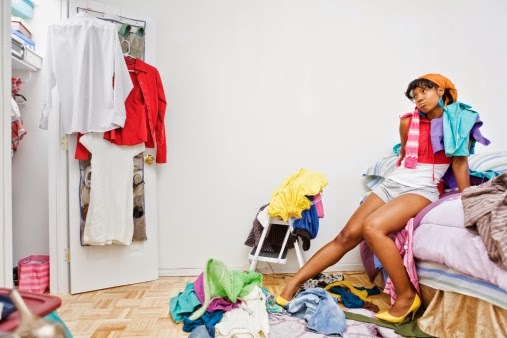 As crushing as this is, go ahead and save yourself the trouble and closet space. If you are not absolutely commited to a weightloss plan or things of that nature, go ahead and part ways. It's find, I won't tell. 3. The Unsalvageable- This should be a no-brainer, yet it something that we all struggle with. I guess it has something to do with letting go of sentimental items. But if it performs no function, except for sitting in back of your closet collecting dust, then what good is it really doing for you?